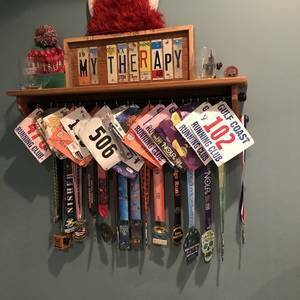 Shelf to display race medals. What a cool way to show off your accomplishments! Nicely done!